Copenhagen, June 2nd, 2017 – Advent International (“Advent”), one of the largest and most experienced global private equity investors, has signed an agreement to acquire Danish food packaging company Færch Plast A/S (“Færch Plast”) from private equity fund EQT VI. Financial terms of the transaction were not disclosed. Færch Plast is a Danish packaging company that holds a leading position within rigid plastic packaging for the food industry. The company has over 40 years of experience in developing, designing and producing innovative and high-quality packaging for the ready meal, “food-to-go” and fresh meat markets. The business model combines a superior quality and service proposition with an industry-leading cost position and a broad range of innovative packaging solutions. Advent brings significant operational resources, capital and sector expertise, which will help accelerate Færch Plast’s growth and strategy to expand its international footprint organically and through add-on acquisitions. The fragmented packaging market provides an opportunity to drive further consolidation and Advent will build on Færch Plast’s established, innovation platform to enhance its position as a European market leader. A particular area of focus will be the expansion into France, Spain and Germany, and supporting food retailers, who are keen to achieve differentiation through new and innovative packaging solutions. This transaction marks Advent’s latest investment in the packaging sector following its recent acquisition of Fort Dearborn, a leading supplier of prime labels for blue chip and middle-market consumer packaged goods companies in the US. The acquisition of Færch Plast is subject to approval by the relevant competition authorities. 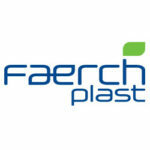 Faerch Plast was founded in 1969 and is headquartered in Holstebro. The company is one of the leading European manufacturer of innovative plastic packaging within Ready Meals, Fresh Meat, and Food to Go. Faerch Plast employs more than 1,000 employees, spread across six factories in Denmark, Great Britain, Spain and the Czech Republic respectively, and sales offices that cover all of Europe. The company offers state-of-the-art extrusion and thermoforming facilities generating a wide range of containers. Faerch Plast has established an ambitious growth strategy, which has recently resulted in the acquisitions of Anson Packaging Ltd in the UK and Sealed Airs Food Tray Business in Europe with factories in Great Britain and Spain. Both companies have leading positions in the development and production of packaging for the food industry and thus offer Faerch Plast a stronger and expanded product portfolio.